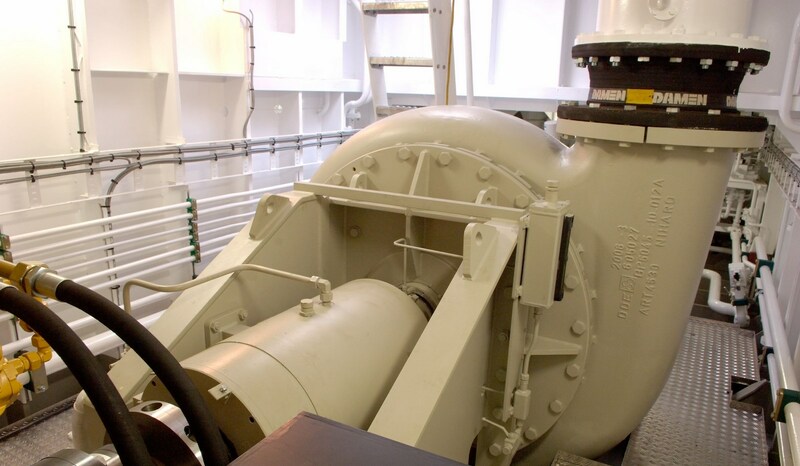 The heavy duty 120 kN side wire winches ensure efficient dredging operations at every location. 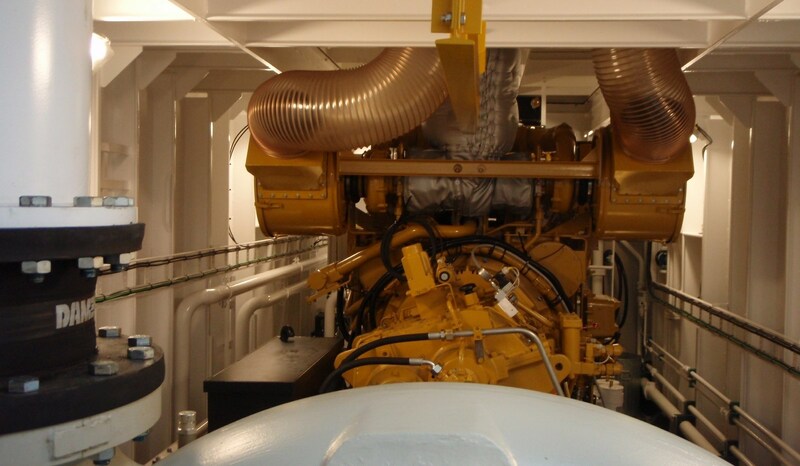 All elements of the CSD500 are dismountable, and can be transported separately by road, rail or sea. 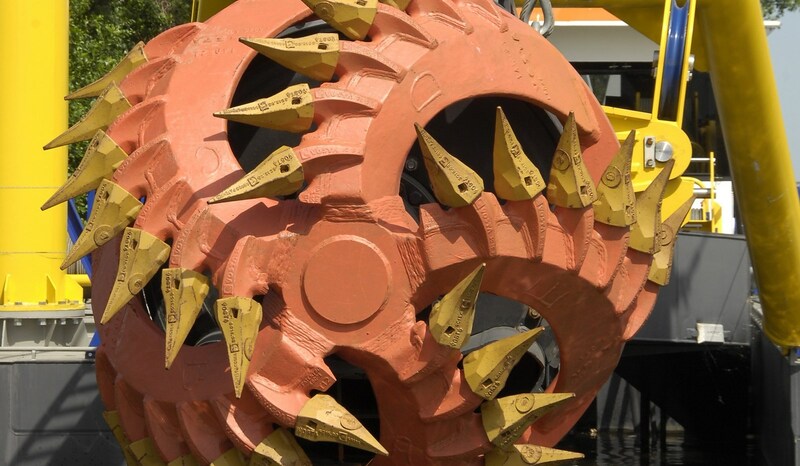 The basic dredger is perfectly suited for its role, yet its efficiency can be further enhanced by adding optional packages such as anchor booms and a spud carriage system. 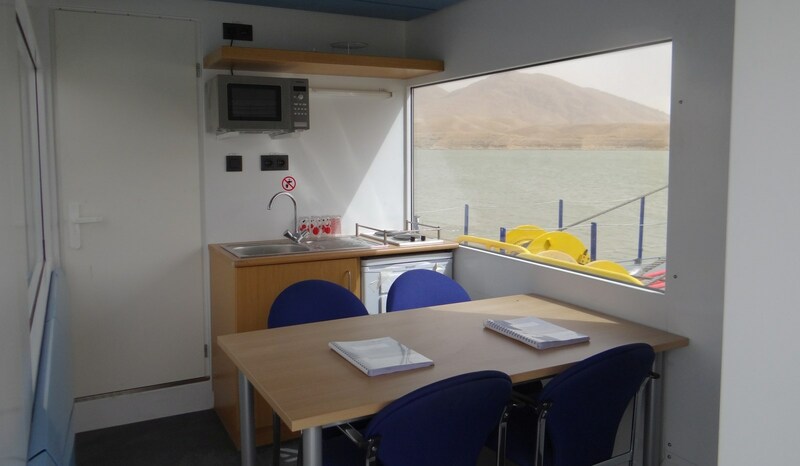 Underneath the operating cabin a day accommodation can be placed. 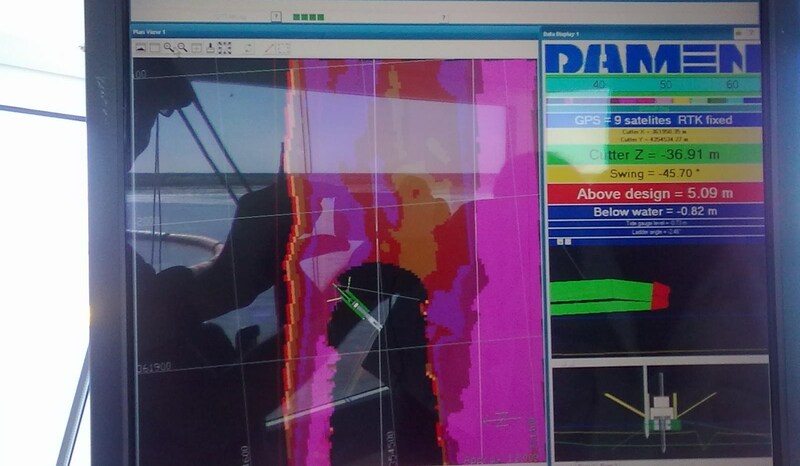 Cutter Suction Dredger 500 "Daserah"
Together with the tug 'PASAM', a CSD500 named 'DASERAH' was delivered to west African client. Cutter Suction Dredger 500 "Seaworks 33"
The swift delivery of a cutter suction dredger, type CSD500, made sure another dredging job had a flying start. Cutter Suction Dredger 500 "Seaworks 19"
A Damen cutter suction dredger was delivered with almost all options available installed. Cutter Suction Dredger 500 "Jide VIII"
The standard stationary dredger type CSD500 has been handed over to a west African customer. 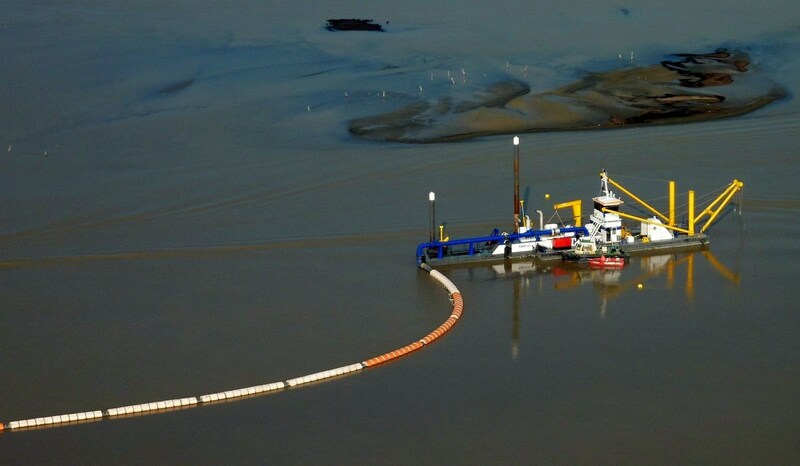 Cutter Suction Dredger 500 "Qing Jiang"
At the end of 2013 the Chinese dredging company CCCC acquired a standard CSD500 to assist in the clean-up of the Mao Wei Sea in southern China. Cutter Suction Dredger 500 "Karamara"
A CSD500 was shipped to Nigeria in November 2013 to work on clearing and maintaining a river for inland transport. Cutter Suction Dredger 500 "Hand of God"
A fully customised CSD500 was delivered to William Lloyds Co.
Cutter Suction Dredger 500 "25 January"
In 2012 Canal Naval Constructions Co (CNC) of Port Fouad, Egypt, built a CSD500 using Damen drawings. Cutter Suction Dredger 500 "Akash-1"
In January 2012 the newly built Cutter Suction Dredger 500 ‘Akash 1’ was handed over to her owner Akash Dredging & Marine Services. 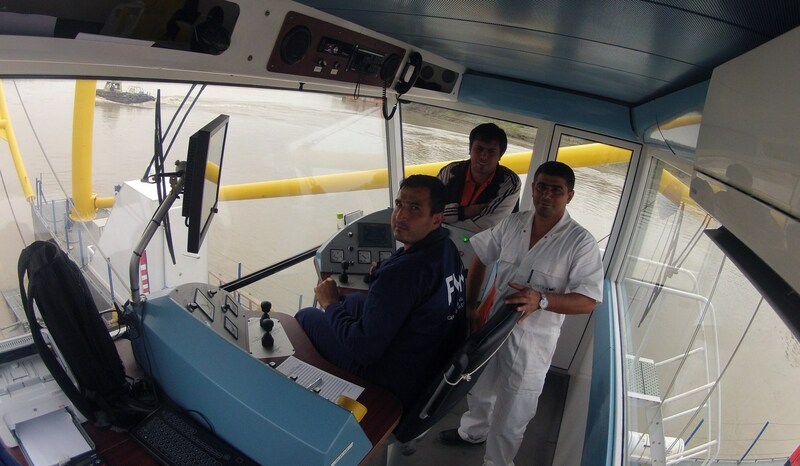 Cutter Suction Dredger 500 "TS 3"
In January 2012, Damen delivered three CSD 500s to the Ministry of Emergency Situation (MES) of Azerbaijan in Baku. Cutter Suction Dredger 500 "TS 2"
Cutter Suction Dredger 500 "TS 1"
In the last week of 2011, Damen Dredging Equipment delivered the Cutter Suction Dredger 500 'Conchas'. Cutter Suction Dredger 500 "Oxyrinchus"
This standard CSD500 was fitted out with a large number of customised options for EDT of Cyprus. Cutter Suction Dredger 500 "YN561531"
In February 2011 Damen Dredging Equipment delivered four cutter suction dredgers to the Iraqi Ministry of Water Resources. Cutter Suction Dredger 500 "YN561530"
Following successful earlier deliveries of Damen CSDs, a series of four more Damen CSDs was contracted for the Iraqi Ministry of Water Resources (MoWR). Cutter Suction Dredgers 500 "450/500"
Following successful earlier deliveries of Damen Cutter Suction Dredgers, a series of four more Damen CSDs was contracted for the Ministry of Water Resources. 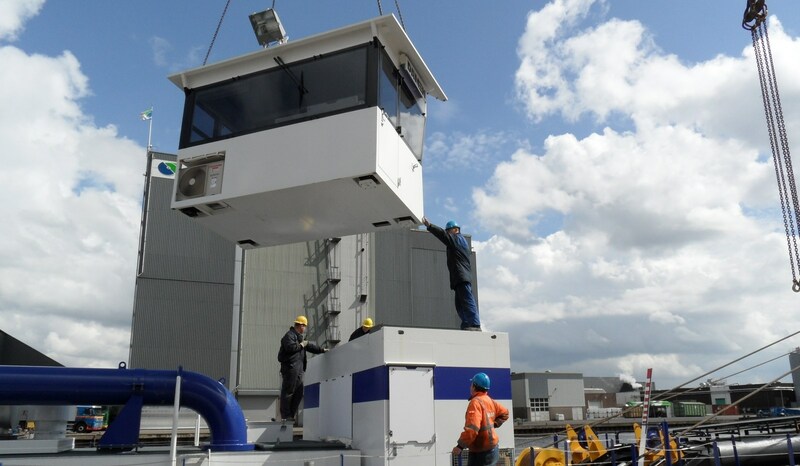 Cutter Suction Dredger 500 "Poseidon"
Damen’s modular building system again provided the answer to a real logistics challenge. Cutter Suction Dredger 500 "CSD 500"
Cutter Suction Dredger 500 "Senagua"
As a sister vessel of the 'La Esperanza', the CSD500 'Senagua', has been delivered in June 2010. Cutter Suction Dredger 500 "La Esperanza"
The Cutter Suction Dredger, 'La Esperanza' is a Cutter Suction Dredger 500 designed by Damen Dredging Equipment. Cutter Suction Dredger 500 "YN 561525"
A CSD500, provided with a large number of options, was delivered early 2010 to Iraq. Cutter Suction Dredger 500 "Havilah 1"
The fully standard CSD500 was delivered to a Nigerian customer. Cutter Suction Dredger 500 "YN561518"
The cutter suction dredger type CSD500 was partly built at the DDE yard in the Netherlands. Cutter Suction Dredger 500 "YN561515"
The CSD500 has been built locally using a Damen components package. 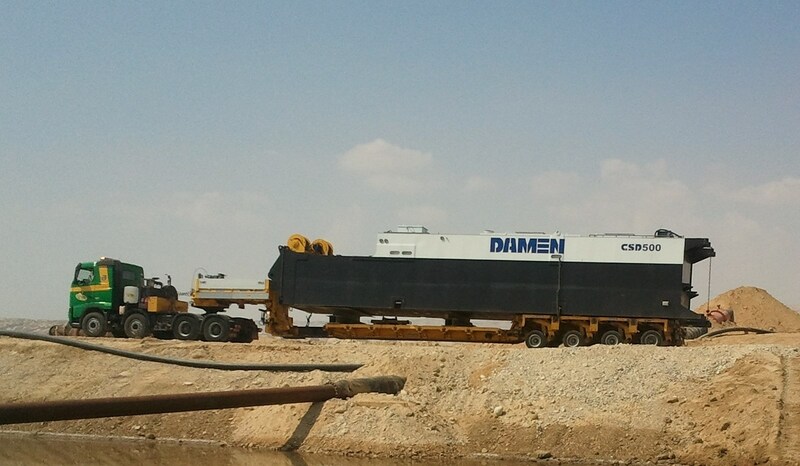 Cutter Suction Dredger 500 "YN561516"
The full option CSD500 was delivered to a Middle Eastern customer. 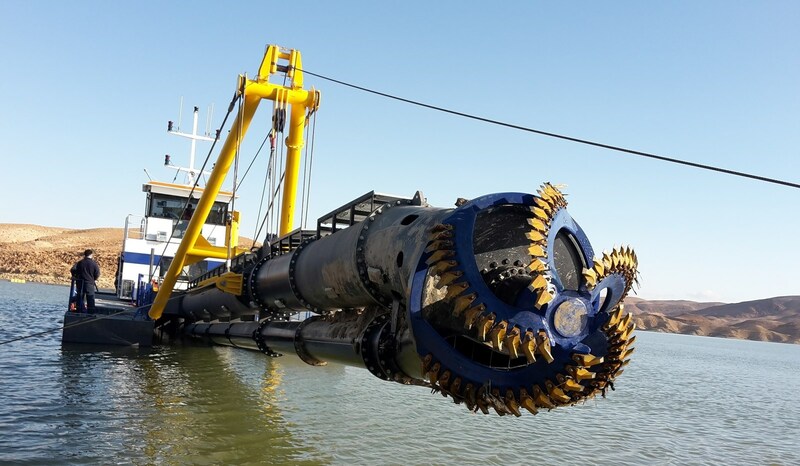 Cutter Suction Dredger 500 "Clair de Lune"
The “Clair de Lune” was shipped to Nigeria, where the long standing Damen customer MFW took delivery of it. Cutter Suction Dredger 500 "Navayuga III"
The Cutter Suction Dredger 500 for the Indian dredging company Navayuga. Cutter Suction Dredger 500 "Jide VI"
The Nigerian dredging company Dredging Atlantic bought its 6th Damen dredger.